LOS ANGELES (KABC) -- The Bureau of Alcohol, Tobacco, Firearms and Explosives sent out a letter to Southern California police departments informing them that officers are buying and reselling guns, which could be a violation of federal firearms laws. In the March 31 letter, the ATF said there was concern that officers may be buying and selling guns in possible violations of federal law. In order for officers to sell guns, they must have a Federal Firearms License, according to the ATF. "It is our goal to educate, not investigate, to ensure law enforcement officials comply with federal law in order to avoid unnecessary public embarrassment to themselves and your Department/Agency," the letter said. 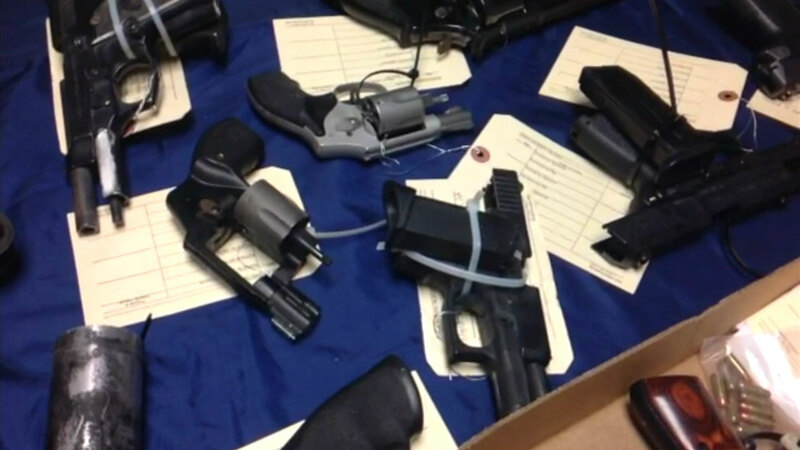 The agency said it discovered law enforcement officers who did not have the license were buying firearms and reselling them to non-law enforcement entities for money. The firearms that are being sold are "off roster," which means they are not on an approved list of weapons that can be sold to the public. The ATF said it discovered officers purchased more than 100 of the "off roster" guns that were then transferred to the possession of people not in law enforcement. Those transactions could potentially violate federal laws, including dealing firearms without the FFL and lying on a federal firearms form when buying the gun, which is also known as straw purchasing. If these violations continued, the ATF would have to conduct a criminal investigation. Selling firearms without a license can carry a maximum sentence of five years in state prison. Lying on the federal form can mean a 10-year prison sentence. The letter stressed that it was informing the agencies about the sales, urging department heads to educate their officers so that the transactions no longer happen.